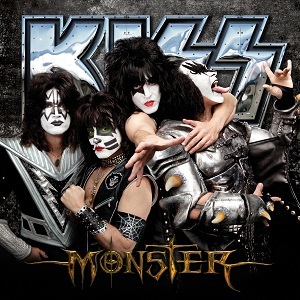 LOS ANGELES, June 29, 2012-- Rock legends KISS return with Monster, the 20th studio album in their historic career, set for release in October through Universal Music Enterprises. 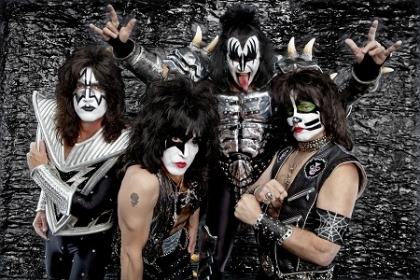 The 12-track, straight-ahead rock ‘n’ roll album features collaborations among all four members—including co-founders Paul Stanley and Gene Simmons and longtime members guitarist Tommy Thayer and drummer Eric Singer—in an album that shows the band at the top of its game. And that’s saying something, considering their illustrious, 40-plus year history—28 U.S. gold albums, the most gold records for any American rock band, 40 million sales in the U.S., and a total exceeding 100 million worldwide. On July 4, the day after “Hell or Hallelujah” hits digital retail in North America, KISS crosses the ocean for its very own Tea Party, performing an Independence Day show at The Forum in London, a holiday most certainly not celebrated in the U.K., though this show might just offer some reparation for that bitter defeat in 1776. The concert will serve as a benefit for the British “Help for Heroes” organization, which raises money for its wounded, sick and injured troops. The band owes its own debt of gratitude to the English, admitting that Monster is influenced by the country’s great, legendary rock groups who influenced and inspired them to pick up their instruments in the first place. Timed to coincide with the release of the Monster album is the deluxe coffee table, limited edition KISS MONSTER, a collection of artworks, 126 photos from the band’s 40-year career, including never-before-seen images from the world’s greatest rock photographers. The three-foot high, two and a half feet wide and two-inch thick Monster will be available in copies signed by all four band members and limited to only 1,000 copies worldwide. More info at www.kissonline.com and www.kissmonsterbook.com.